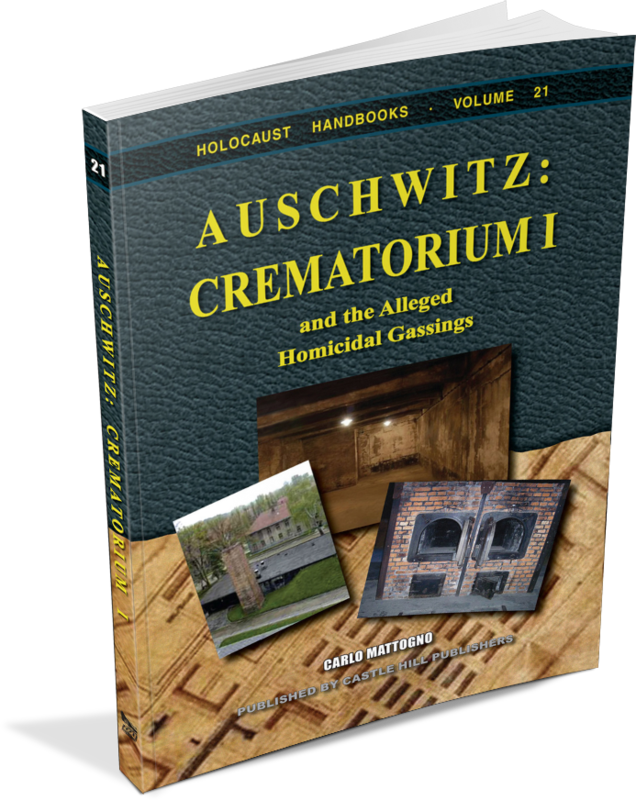 The morgue of the old crematorium in the Auschwitz concentration camp is said to have been the first location where mass gassings of Jews occurred over an extended period of time. 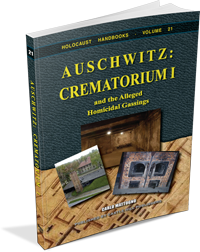 In this study, Italian scholar Carlo Mattogno analyzes the most important witness testimonies and juxtaposes them with original German wartime documents as well as material evidence still available today. Mattogno shows that the witness testimonies are either extremely vague, or where they are specific, that they contradict each other and speak about physical impossibilities. A few witnesses made more specific statements, which allow for their verification. Mattogno performs an analysis of these statements with the help of both original German wartime documents and material evidence. His analysis reveals that the claims of these witnesses are totally unfounded. Mattogno also exposes the fraudulent attempts of mainstream historians to convert the witnesses' black propaganda into "truth" by means of selective quotes, omissions, and distortions. Finally, Mattogno shows with forensic methods – by investigating the current state of this morgue as presented to tourists today -- that this crematory's morgue has never been anything different than what it was meant to be: a morgue. 2nd, slightly corrected and expanded edition, 152 pages. Format: pb, 6"×9", 44 illustrations, bibliography, index.